It’s been nearly three years since I’ve been in a (F15, 2014-present) BMW X5. I fondly recall it being one of the most well rounded SUVs I had ever driven. But three years feels like a century in the automotive world, and since then I’ve driven numerous competing SUVs like the Volvo XC90, Mercedes-Benz GLE, Lexus RX, and Range Rover Sport. 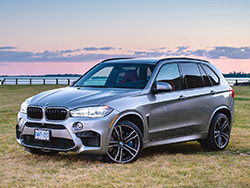 All of them were five-star SUVs but they lacked a certain quality that the X5 had, and it always irked me because I couldn’t quite articulate the right words to describe it. 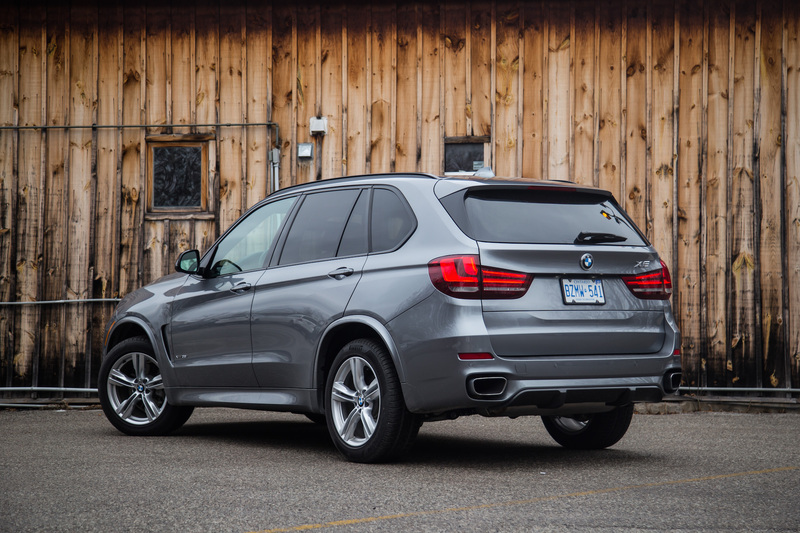 For me, the 2014 BMW X5 set the bar so high that anything after it felt a little hollow. 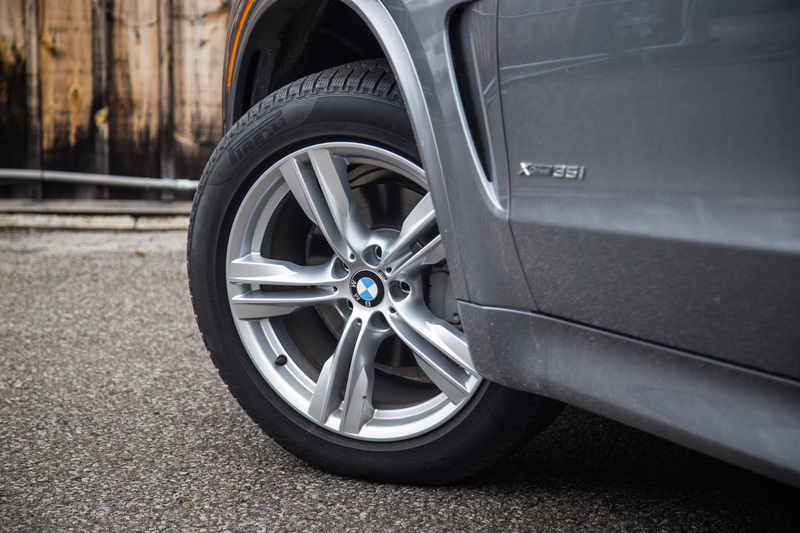 The X5 had uncanny good looks, a plethora of engine choices, some of the best wheel designs, the interior was gorgeous, it had a huge trunk, and it handled corners in a way that any SUV really has no business doing. It’s something these porky three-row soccer team haulers really aren’t supposed to be doing; yet here they are selling more units than the equivalent sedan or coupe. 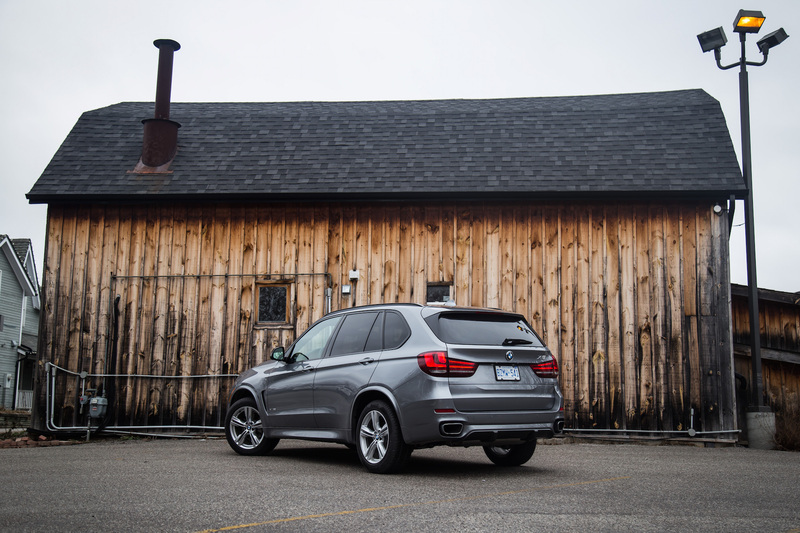 So here’s the pitch: another seven day test with the new 2017 BMW X5 to piece together my thoughts and to see if it still stands at the king of the hill in the wake of rising competition. It’s easy to forget how phenomenal a car is when you’ve parted with it for so long. It’s the little things that you miss, like the X5’s multi-contour seats that allow you to adjust the top and bottom portion of the seatback, offering a tailored driving position. Our Chief Editor wouldn’t stop raving about them either. 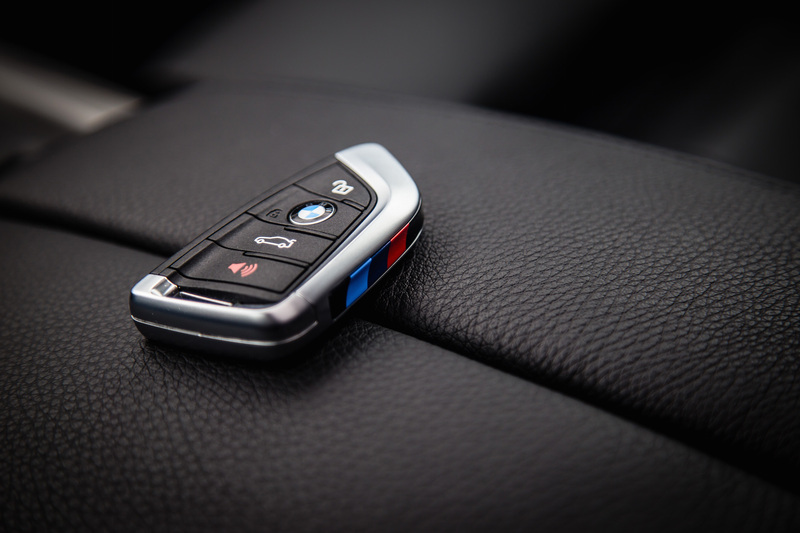 A word of caution though: once you do experience them, every other seat on the market feels sub-par and uncomfortable – BMW owners that tried to cross-shop when their lease was about to expire would know what I am talking about. You can’t forget about the dual-panel trunk opening either, or the meaty M steering wheel, or the ultra-smooth ZF 8-speed transmission, but in the end it’s the refinement of the cabin that really gets to you. Every panel is pieced and lined up perfectly. 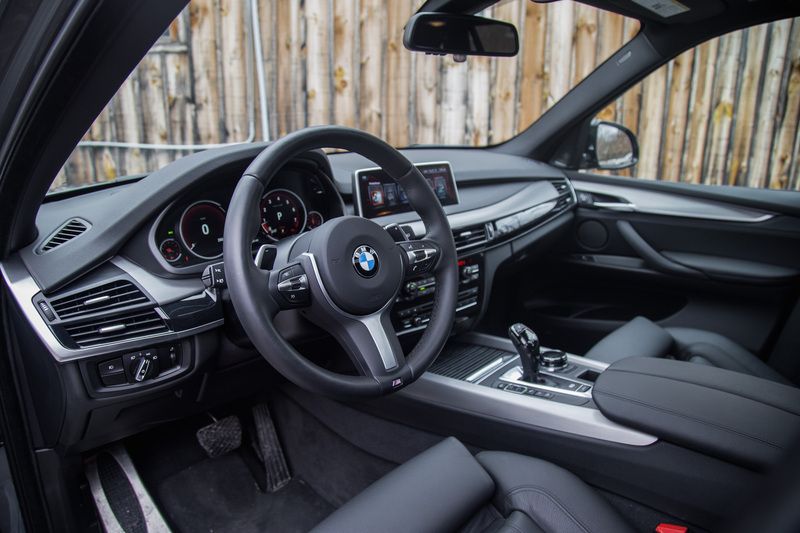 There is contrast ambient lighting surrounding the cabin, and the iDrive infotainment screen has been upgraded with a new touchscreen interface and also supports wireless Apple CarPlay, meaning you no more USB cables dangling around to use this feature. But it’s not just the interior that gives me nostalgia, but the powertrain as well. 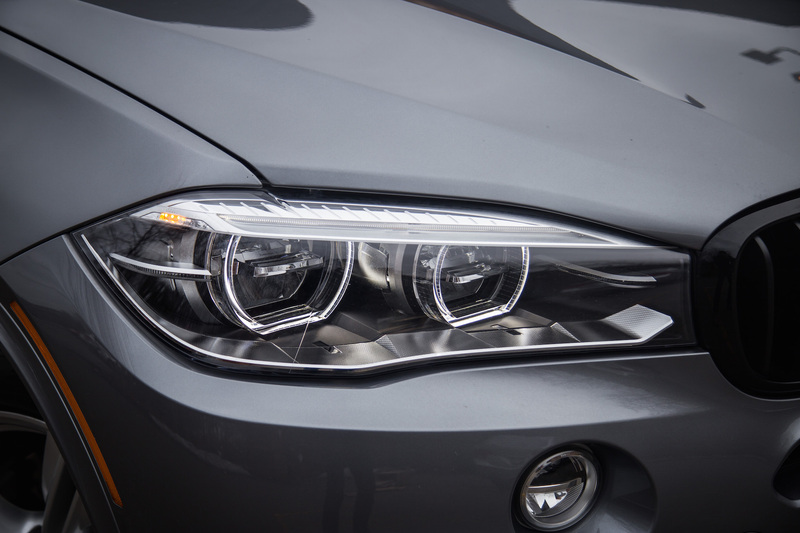 BMW’s inline-six engines were always known for their smooth power delivery and raspy exhaust notes, and now they’ve just thrown the ball out of the park with the optional M Performance Packages. 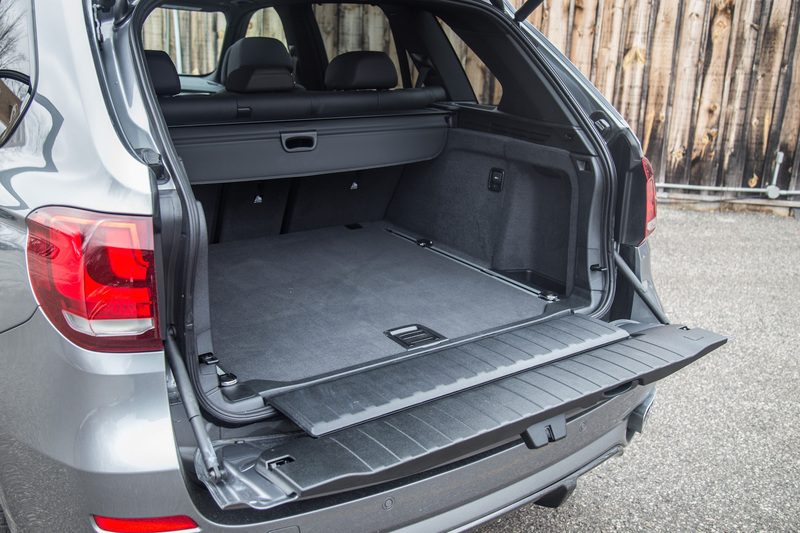 There are two available with the X5 and ours was loaded up with both for testing. 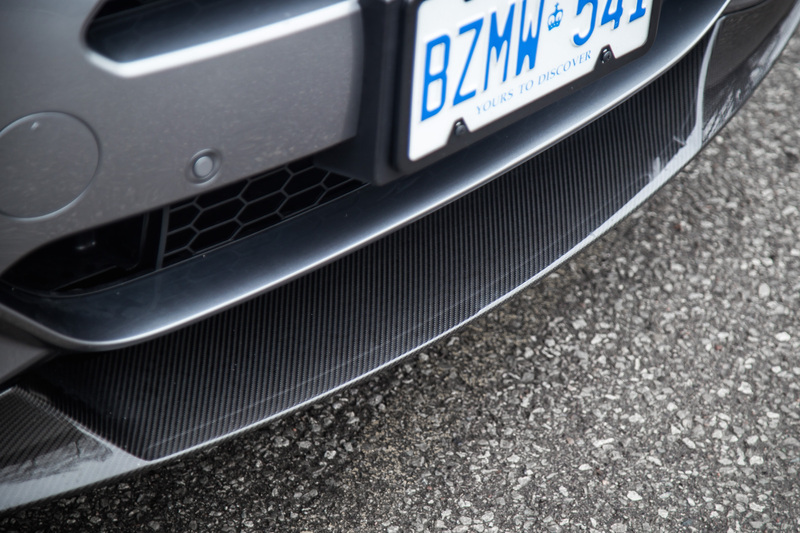 M Performance Package I ($2,900) offers a power kit that bumps the power rating by 20 hp and 32 lb-ft of torque up to grand total of 320 hp and 332 lb-ft of torque, it increases throttle response, and shaves the 0-100 km/h time down half a second to a flat 6.0 seconds. 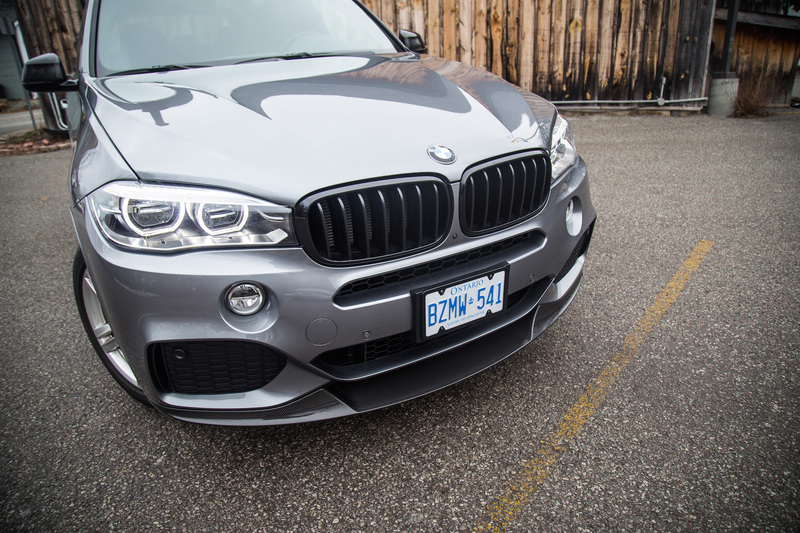 The M Performance Package II ($5,900) takes everything you got in the first package and adds on some aesthetic upgrades like a carbon fibre front splitter, rear diffuser, side mirrors, and high-gloss black kidney grills. In a way, this transforms the X5 from a civilian looking SUV into pimped out drug dealer’s rig. Personally, I’d forgo this package and opt for the first one, but I’ll leave what’s important to you. 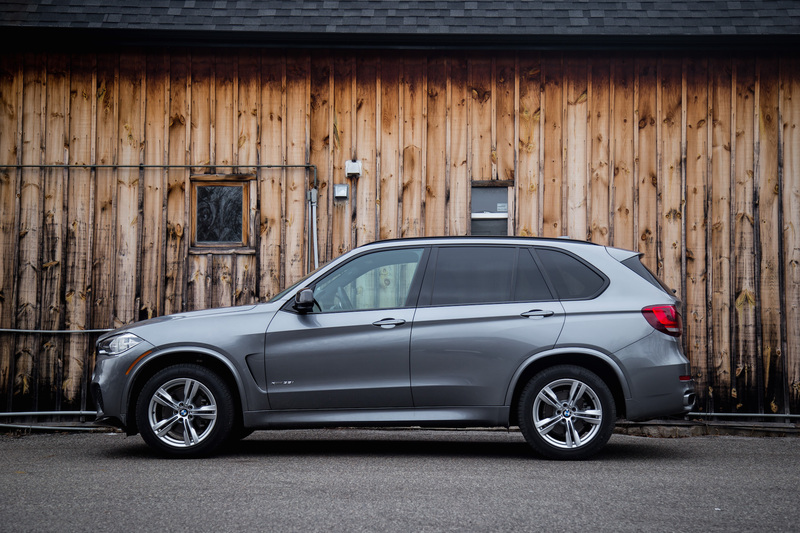 What always surprised me about the X5, and it continues to do, is how well it handles around corners. It’s no understatement when people say it drives like a car half its size, because it’s true. 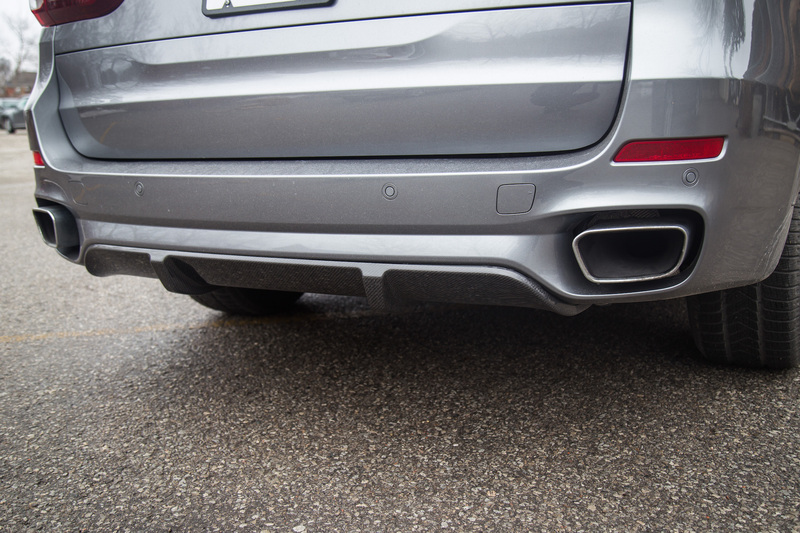 When you select Sport Mode, the adaptive dampers stiffen up, the body tucks itself in, and body roll is reduced to the point that you feel obligated to take corners at speeds you know you really shouldn’t. It doesn’t help that the X5 is so easy to drive either. The steering is light and the nose always points to where you want it go. 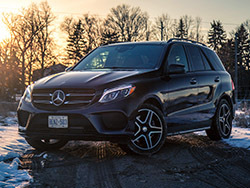 The Mercedes-Benz GLE 450 AMG that we tested was probably the closest competitor to the X5. Looks are spot on especially with the AMG treatment, the steering is phenomenal, and AMG’s new 3.0-litre twin-turbo V6 is not only more powerful than the X5’s straight six but also nearly as smooth. What the GLE 450 lacks however is agility and the competence to make the driver feel confident and satisfied when driving spiritedly, a quality that the X5 excels in. If comfort were my number one priority, then I would make a beeline for the Lexus RX 350. 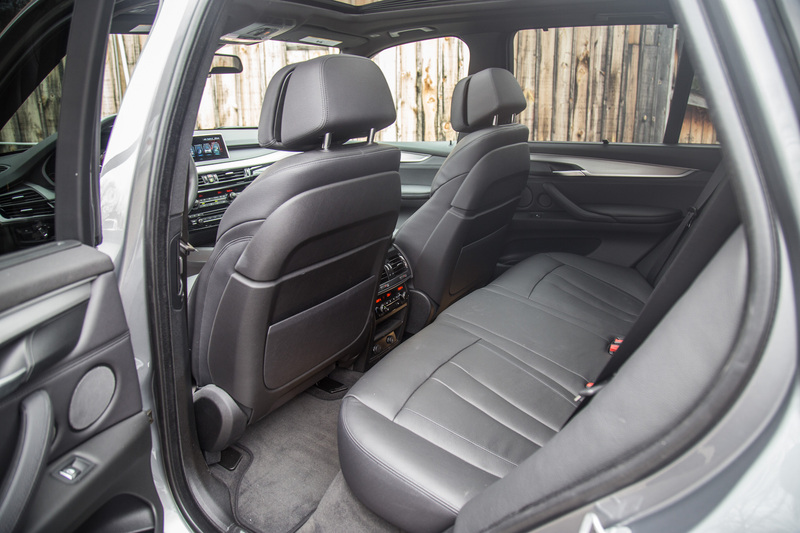 Though its seats are not on par with the X5, everything else is tailored for a luxurious and relaxing drive. That is, if you can stand the grisly infotainment system and computer-pad mouse. There’s a hybrid version available, the RX 450h, but I’d be opting for the X5’s plug-in 40e model instead for pure electric driving. The last competitor I want to mention is the Range Rover Sport. 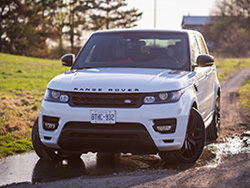 Reliability issues aside – I have a few JLR mechanic friends who tell me working on them is an (expensive) nightmare – this is the SUV with the most class, charm, and off-road credentials. There’s a workingman’s sophistication to the way it commands the road, how it shows up with such presence, and how it bellows with its monstrous supercharged engine. Refinement however, is just not quite up to par and though it’s very powerful, the Range really shows its weight on twisty switchback roads. 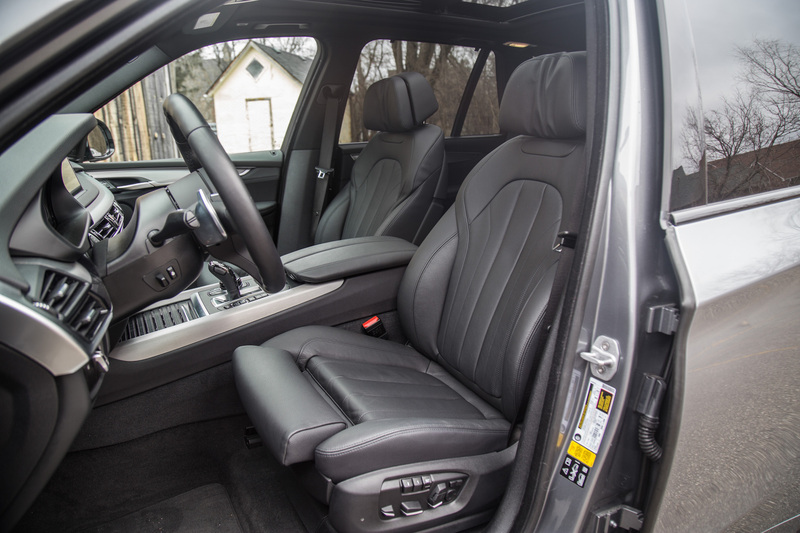 Honourable mentions go out to the sublime Acura MDX and new kid on the block Volvo XC90, which both excel in their regards, have segment-leading third row seats, but ultimately neither of them have the appeal or dynamicism of the SUVs mentioned above. Maybe that’s why I couldn’t quite pinpoint one specific reason why I liked the BMW X5 more than the others. 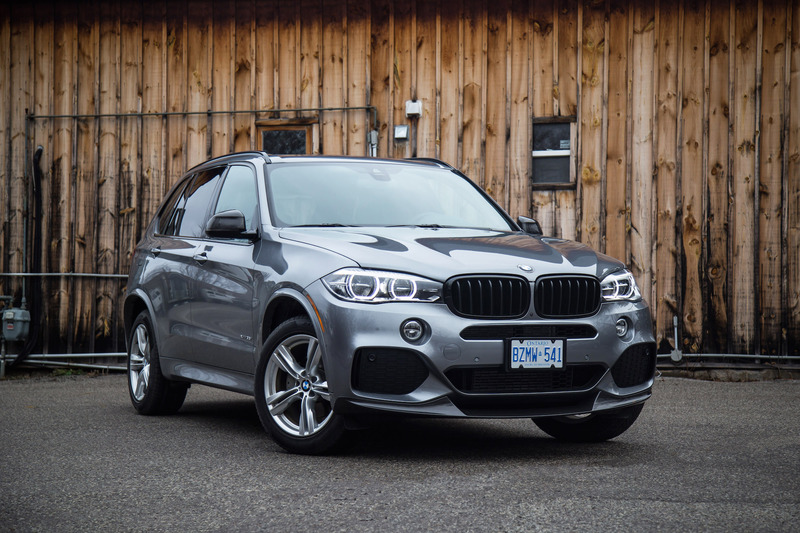 It was because the X5 combines comfort, luxury, refinement, exhaust noise, and driving dynamics into one cohesive package. Rather than being the best in one field, it masterfully marries it all together into a specimen of art and science. 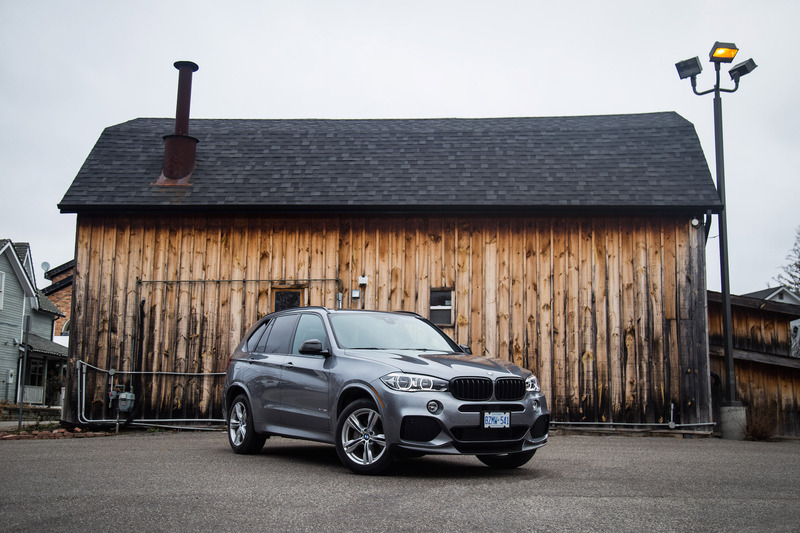 It only took seven days to figure that one out, and after being reacquainted with the X5 and spending some quality time with it on road, I think it’s safe to say that it still is, the gold standard of SUVs. The added performance bits that we had on our tester are just the icing on the cake.